JMS is one of the first platform hire companies in the UK to take delivery of the ultra-narrow Dingli JCPT 0607 DCS self-propelled, electric scissor lift. The low-level access machine replaces other working at height systems, such as ladders, and scaffolding towers, while providing greater flexibility, productivity, and safety. Mark Jackson, Managing Director of JMS, said: “We’re investing in new Dingli scissor lifts because we want to offer our hire customers more low-level access choice. The Dingli JCPT 0607 DCS scissor lift is battery-powered so has zero emissions and is low-noise, making it ideal for internal environments, including retail and hotel spaces. The low-level scissor lift has a width of just 0.76 metres, making it one of the narrowest machines in the JMS scissor lift hire fleet. With a turning radius of 0.40m inside and 1.55m outside, it is ideal for working at height in confined spaces. The Dingli JCPT 0607 DCS has a maximum working height of 5.6m, and a stowed gradability of 25%. Its extendable platform creates a larger working space, and greater reach for working above obstacles. Its folding guardrails makes it easier the operate the machine in confined spaces. The scissor lift also has automatic pothole protection to improve safety over uneven surfaces. Dingli Scissor Lift Hire, available from JMS. A study carried out by the Health and Safety Executive (HSE) industries revealed there were, on average, 16.5 deaths a year due to falls from ladders and step ladders in the construction and civil engineering industries alone between 1981 and 1985. Spurred on by such figures, the HSE, other regulatory bodies, and industry leaders, have driven a process of improving safety. The increased use of mobile elevating working platforms (MEWPs), including scissor lifts, has played a significant part in the process. Scissor lifts like the Dingli JCPT 0607 DCS are extending safety still further in the low-level working environment. Mark Jackson said: “There is still a tendency for people working in many industries to think first of ladder systems for low level working at height tasks. The Dingli JCPT 0607 scissor lift is ideal for a wide range of environments including, retail, shopping centres, logistic depots, retail warehouses, and construction sites. It is suited to many different tasks, such as building fit-out, electrical and mechanical maintenance, building inspection, and lighting installation. This makes it’s a good choice for customers working on extensive internal maintenance or refurbishment programmes requiring flexible co-ordination of multiple working at height tasks. 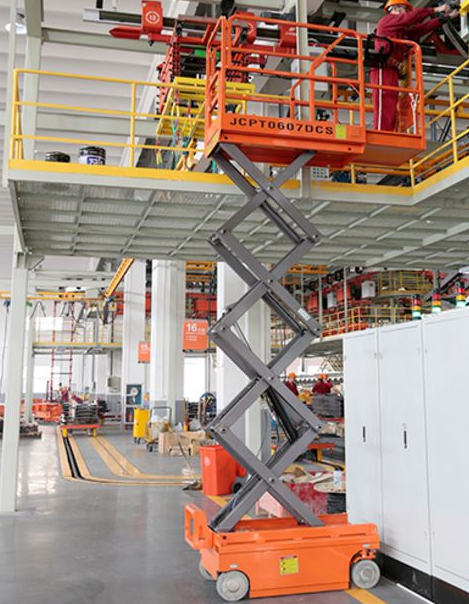 The scissor lift’s 240kg maximum load means up to two operatives can work from the platform, while still having enough weight capacity for tools and materials. All powered access equipment is available for hire nationally through JMS’s depots in Harpenden, Hertfordshire, Leeds, West Yorkshire and Pinewood Studios, Bucks. 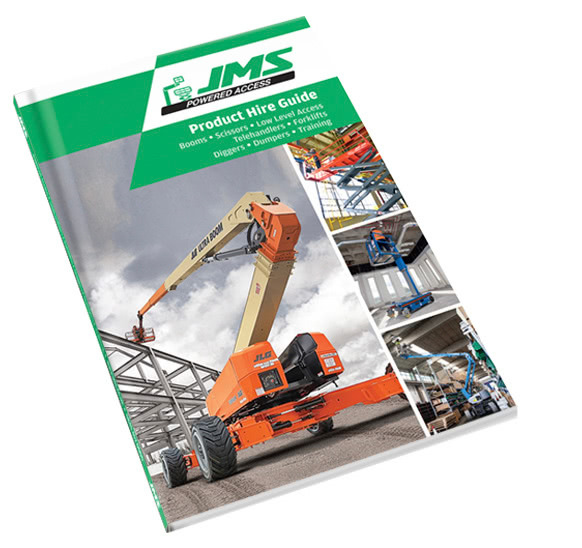 For information about scissor lift hire, or hiring other powered access equipment, contact JMS today on 0845 457 0000 or email hire@jms.co.uk, www.jms.co.uk.